Make wine aeration and oxygenation a beautiful process with this Modena Wine Aerator. 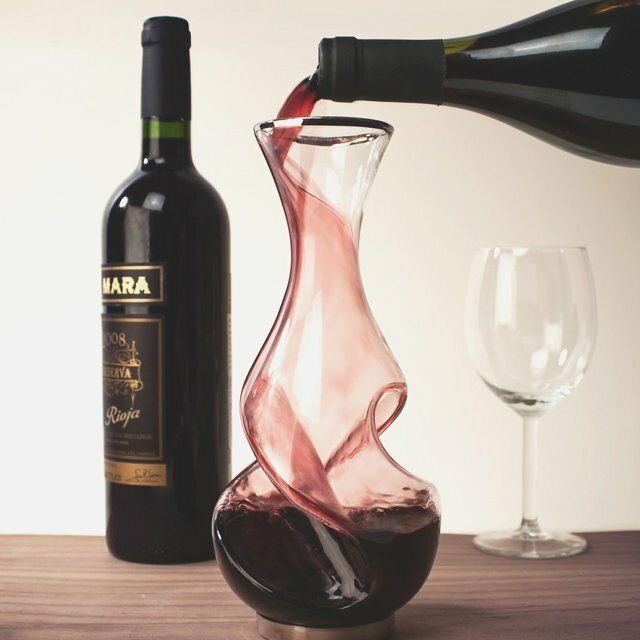 Exquisitely crafted out of glass, this wine aerator decanter is an unusual and unique way to quickly ready your favored wine for consumption. Firstly, the wine moves down the curved sides as it is poured, letting it breathe. Next, as it cascades into your wine glass, the liquid aerates for a second time enhancing the scent and taste to the utmost quality.